Cristiano Ronaldo: a return back home? The terraces still sing Cristiano Ronaldo’s name, despite the fact that he left in 2009. He no longer runs down the wing, but his conversion to a central striker has seen a spectacular output of goals at Real Madrid, seeing him win two La Liga titles, three Champions Leagues and an assortment of cups. A great at both Manchester United and Real Madrid, the world’s best player (one of them, at least) has been linked with a move back home (his second home, Manchester, after Sporting Lisbon) following tax evasion accusations in Spain. He is rumoured to be outraged and wants to push a departure from Madrid- news that United fans have heard for several years now to no success- but has the situation changed this time round? Ronaldo has stated his desire to retire at Madrid when he’s over 40 in the past, and that’s no wonder- Real Madrid are the best club in the world, winning three of the last four Champions Leagues, and he’s the highest-paid player in the club by a long mile. After signing a new contract in 2021, with a wage hike taking his earnings in excess of €400,000 a week. Taking everything into account, he’s the highest-paid sportsman, and given he’s signed a new contract recently, it seems strange, even for a footballer, that he’d want an increase in wage so soon. But accusations of defrauding on taxes may have reversed the situation, throwing a spanner in his dream retirement plan. Quitting Spain for a club change seems extreme for a matter that could well be solved when cooler heads reign, but a departure is not implausible. And if that materialises, would he re-join United? 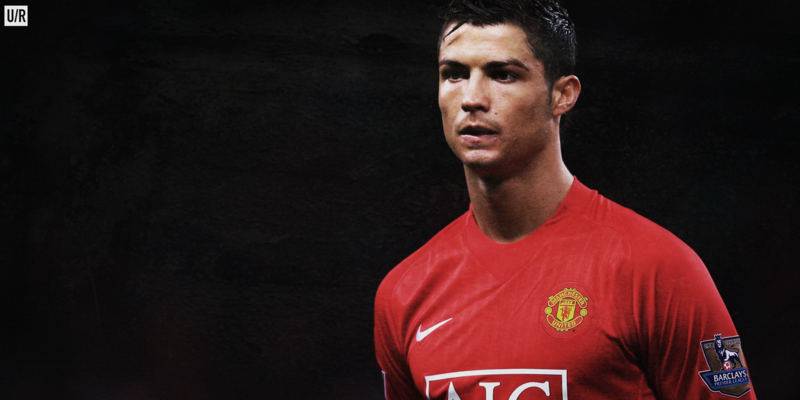 Manchester was the club where he made his name after leaving Sporting CP, and he remains adored in Old Trafford. He was truly happy before he left, but it was his dream to play for Madrid. He still loves United, and the fans love him back, more so than Madrid fans, at whom he has directed his frustrations many a time in the past. The Bernabeu faithful are far more impatient to deal with dry runs, but United fans on the other hand are as supportive and loyal to their own players as any. One factor in any Ronaldo return would naturally be the adulation he receives from the fans. It’s a reunion that makes sense on an emotional level. United’s Europa League victory also means he would be able to continue playing at Europe’s highest stage, taking part in his yearly tussle with Lionel Messi. On a footballing sense, he may feel like he has unfinished business at United, and he may fancy the challenge of taking United to the top of the Premier League, given he’s achieved it all at Madrid. MLS is an option too early for him and China is unlikely to tempt him. A PSG move is doubtful, while he wouldn’t move to any of the other Premier League big clubs. A Sporting return will always be on the cards, though it’s too early for that given they can hardly compete financially with United. If he was to move here, Madrid would likely demand a world-record fee and/or David de Gea, which makes any decision tougher given de Gea’s status as one of the best keepers in the world. But if de Gea were to eventually leave, why not let him go and then get Donnarumma from Milan? It would depend on negotiations; however if Woodward would be able to keep de Gea and get Ronaldo, it’s a no-brainer, even with the cash involved. It’s not our money, so fans shouldn’t be concerned. Pay up and reap the rewards. Even considering Ronaldo is 32, it’s a deal that makes sense on many levels, especially commercial, considering United’s position in the world. Another reason for the Portuguese would be the chance to score the 136 goals needed to become Madrid and United’s top scorer, an achievement that would be unprecedented in world football, especially since that would be at two of the world’s biggest clubs. It’s an achievement that would take him five or so years, and would need him to move this year. It’s tough but doable- stretching a career into the late 30s is something Ibrahimovic has done. It would cement his position as conqueror of world football, a huge boost to his ego. A strained relationship with Mourinho towards the end of his Madrid stint may throw a spanner into the mix, however there is no bridge that cannot be fixed without money. Ronaldo would also overtake Pogba as star of the side- but considering he would elevate their level, there shouldn’t be any doubts. World-class players rarely come on the market. He would become the focal point of the attack, allaying any Morata/Belotti rumours, providing a short to medium term solution to United’s attacking problems, and would be the main character in a dressing room losing Ibrahimovic and Rooney (probably). Experience, a title-winning mentality and goals- what more does one need? We’re getting ahead of ourselves though. Considering past history with Madrid (see Ronaldo, Ramos), we must be cautious when dealing with Madrid, considering their top players use us for new contracts. The odds are he will re-sign, which is why any optimism must be dulled. United may intrigue him but he remains firmly in Madrid. A transfer would be amazing on many levels, but it remains paper talk and highly unlikely for now. We can continue to dream on though, hoping that it will turn into reality some day. For now, the club announcement remains the only reliable source. Fabinho is handmade for Manchester United; Is there more than meets the eye with the deal?